When things get hot in Florida, you’ll really notice it if your air conditioning starts to malfunction. If you’re like a lot of folks, that will usually happen at the most inopportune time. You’re expecting a house full of friends and relatives and you begin to wonder if it really is hot in your home, or if it’s just you. 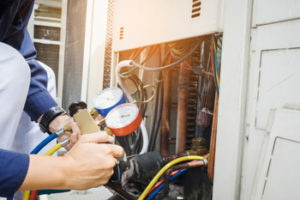 If it turns out that it really is getting hot, it’s time to call the trustworthy professionals from DC / AC Air Conditioning and Heating for the expert AC repair Altamonte Springs has relied on for over 25 years. The professional technicians from DC / AC Air Conditioning and Heating pride themselves on providing the very best AC service you can find in Altamonte Springs, in the most timely and efficient way. We know how it feels when you’re in a hot and humid home that is getting hotter by the minute. We’re happy to provide the Altamonte Springs AC repair residents rely on to stay cool. Not only will we come out promptly, we’ll arrive in a fully stocked vehicle, ready to take on any task we find that needs to get done. Well-trained, licensed and insured technicians will thoroughly evaluate your air conditioning system and get to the bottom of your troubles. We’ll let you know exactly what the problem is and how we can solve it for you. Whether you simply need a part or two, or an entirely new system, we’ll provide excellent service for you so you’ll quickly be on your way to a refreshingly cool home again. When our recommendation is to install a new air conditioning system, you’ll be glad to know that there are some real benefits to today’s modern systems. Energy efficiency ratings will be explained to you by technicians from the AC repair Altamonte Springs calls first for answers, along with information about the environmental friendliness of your new system. We know that keeping our environment cleaner and safer for future generations is important to you, and it’s important to us as well. You’ll get the highest quality system to fit your budget. That is a promise from the AC service Altamonte Springs calls on most often for exceptional service, DC / AC Air Conditioning and Heating. Our professionals are in tune with your needs. We are devoted to delivering top quality service and installations every time. 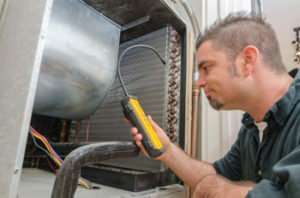 We believe you’ll be impressed with the residential and commercial AC repair in Altamonte Springs FL you receive from our highly qualified HVAC specialists. We love to see satisfied customers and smiling faces when air conditioning is working exactly as it should. There’s nothing else quite as nice or as comforting as walking into a cool, soothing environment after spending time outdoors in the Florida sunshine. The air conditioning service and air conditioning repair you need comes to you directly from the experts at DC / AC Air Conditioning and Heating. 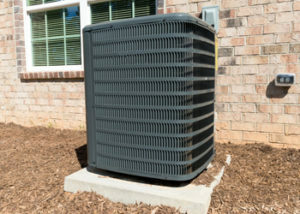 DC / AC Air Conditioning and Heating delivers the Altamonte Springs air conditioning repair and service that residents have relied on for over 25 years. We’re proud that we’ve been able to maintain an A+ rating with the Better Business Bureau and that our technicians are some of the best in the field. 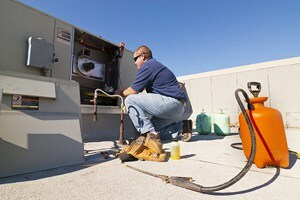 We strive for 100 percent customer satisfaction with every service call and with every job we do. We hire only the best technicians with exceptional qualifications and those who fit in well with our company policies of integrity, honesty, passion for excellence and professionalism. You know you’re going to get high quality service from your local experts in the AC service Altamonte Springs needs to keep cool. You’ll like the way we do business.